Nifty50 of the NSE edged higher by 106.1 points, or 1.03 per cent, to close the week's trade at 10,389.70 points. Mumbai: Pursuing the optimism on a sovereign ratings upgrade of the Indian government's bonds by US credit rating agency Moody's last week, the key Indian equity indices rode the bulls with a further thrust given by continued buying by domestic institutional investors. Market observers were of the view that investors awaited the comments from another ratings agency Standard & Poor's (S&P) that came later on Friday evening. On a weekly basis, the barometer 30-scrip Sensitive Index (Sensex) of the Bombay Stock Exchange (BSE) closed higher from its previous week's close by 336.44 points, or 1 per cent, at 33,679.24 points. The broader Nifty50 of the National Stock Exchange (NSE) edged higher by 106.1 points, or 1.03 per cent, to close the week's trade at 10,389.70 points. "Markets ended with healthy gains this week despite trading in a range for a major part of the week," Deepak Jasani, Head - Retail Research, HDFC Securities, told IANS. "Sectorally, the top gainers were the media, energy, pharma and realty indices. The top losers were the PSU Banks and metal indices," Jasani added. According to D.K. Aggarwal, Chairman and Managing Director of SMC Investments and Advisors, uninterrupted buying by domestic financial institutions amid softening statement from US Fed minutes supported the Indian markets. "The recent released Federal Reserve minutes indicated that an interest-rate hike is likely but the pace of future tightening could be more moderate than expected given muted inflation," Aggarwal told IANS. Provisional figures from the stock exchanges showed that domestic institutional investors bought scrips worth Rs 2,925.56 crore. However, foreign instituttional investors continued to remain net sellers and sold stocks worth Rs 1,870.27 crore during the week. Figures from the National Securities Depository (NSDL) revealed that foreign portfolio investors (FPIs) invested in equities worth Rs 2,106.45 crore, or $325.16 million, during November 20-24. "Market participants' eyes were on the S&P report that was expected on Friday evening. Moody's has upgraded their rating on India last week and this has boosted the sentiments of the market participants," Aggarwal added. Arpit Jain, AVP at Arihant Capital Markets, told IANS: "Indian equity benchmarks rose for seventh day in a row on Friday." "On the domestic front, GST rate change has been done on the 178 items, specifically FMCG -- an area which has been seeing good traction. Sectors like pharma, infra and FMCG continued to remain in focus," said Jain. On the currency front, the rupee strengthened by 31-32 paise to close at 64.70 against the US dollar from its last week's close at 65.01-02. "With Q2 results out of the way and lack of fresh triggers, Nifty failed to move above 10,400 levels. Some profit booking was visible in large caps and sectors which have gained in recent rally," said Vinod Nair, Head of Research, Geojit Financial Services. 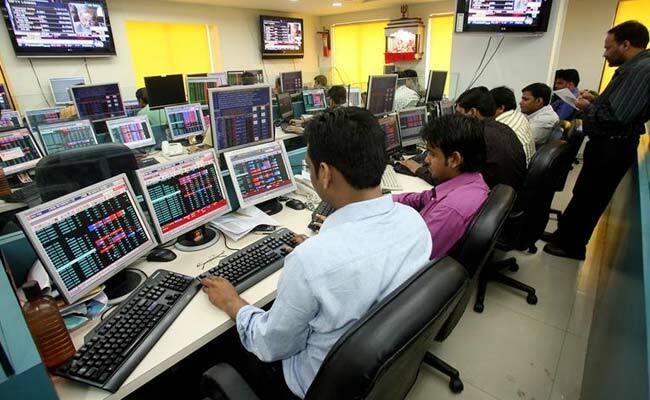 The top weekly Sensex gainers were: Sun Pharma (up 6.09 per cent at Rs 548.55); Reliance Industries (up 4.38 per cent at Rs 949.50); Infosys (up 4.02 per cent at Rs 1,009.95); Bajaj Auto (up 2.52 per cent at Rs 3,293.10); and ONGC (up 1.92 per cent at Rs 180.90). The losers were: ICICI Bank (down 2.48 per cent at Rs 317.05); SBI (down 1.53 per cent at Rs 332.25); Dr. Reddys Lab (down 1.13 per cent at Rs 2,298.70); Asian Paints (down 0.94 per cent at Rs 1,160.05); and Hindustan Unilever (down 0.93 per cent at Rs 1,266.70).